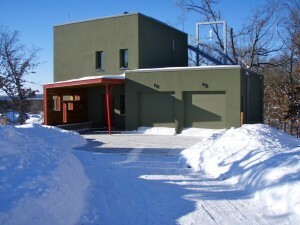 This year’s cold winter is underscoring how comfortable a home can be in US climate zone 6 when built to the Passive House standard. Posted in Uncategorized | Comments Off on Happy 2014! 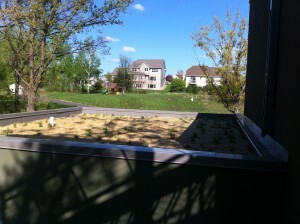 The green roof on top of the garage has just been installed. I captured this image in the afternoon hours so it is a bit hard to make out the little plants with the shadows of the trees to the West obscuring the view. The early spring, warm temperatures and frequent rains should help it fill in quickly. 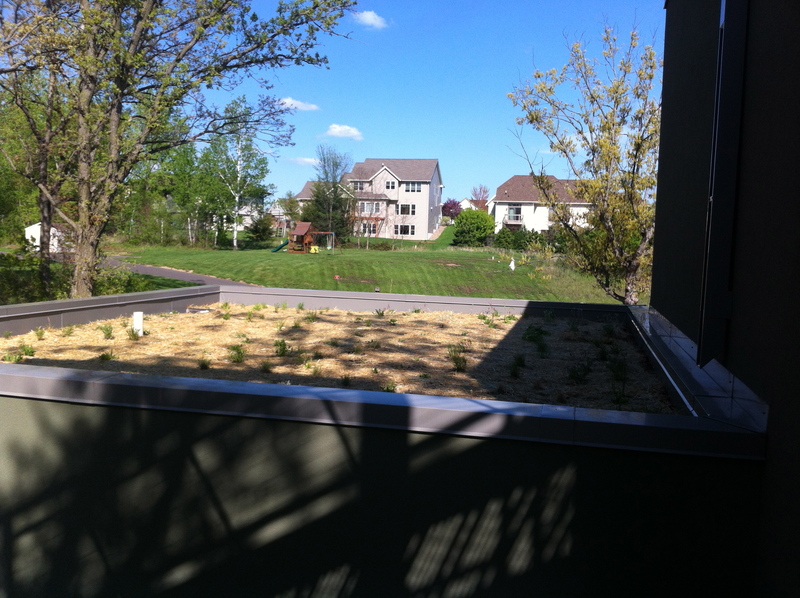 This vegetated roof will be very pleasant to view during the ascent to the rooftop terrace, which was also partially planted. 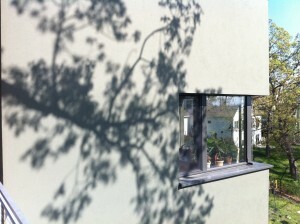 On an unrelated note, I captured the image below of the shadows of the trees on the stucco of the West facade. 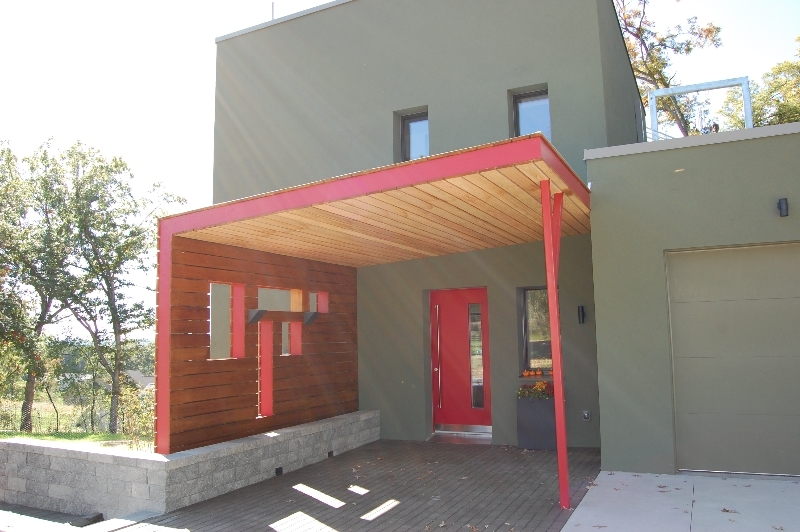 I always liked how shadows animate the stucco facades and create an interesting visual interaction between the house and its natural surroundings. 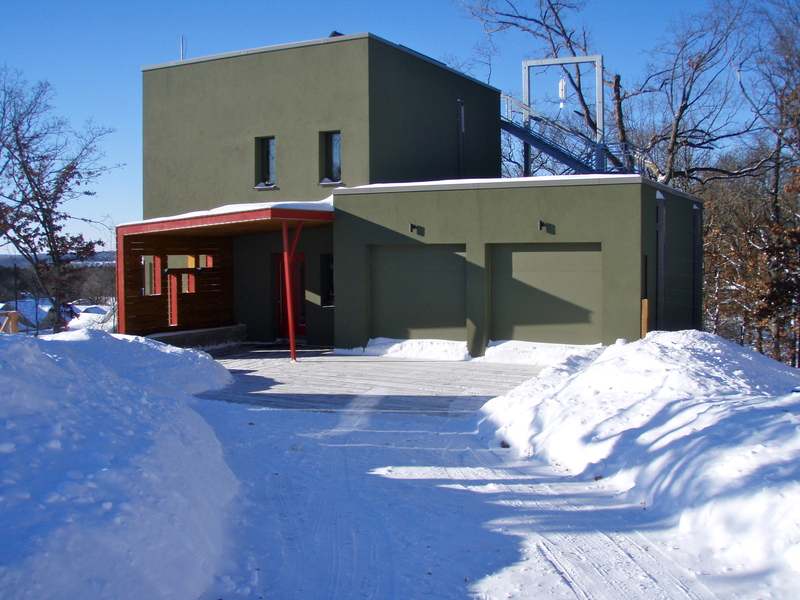 The Passive House in the Woods received the highest Minnesota GreenStar® certification (Gold) today. We are very excited to see the certification come through and congratulate the owner and all the team members involved in the design and construction on this achievement! 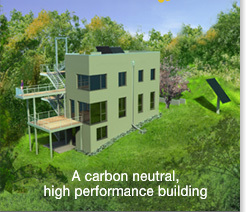 We used the Minnesota GreenStar® program to compliment the Passive House certification. 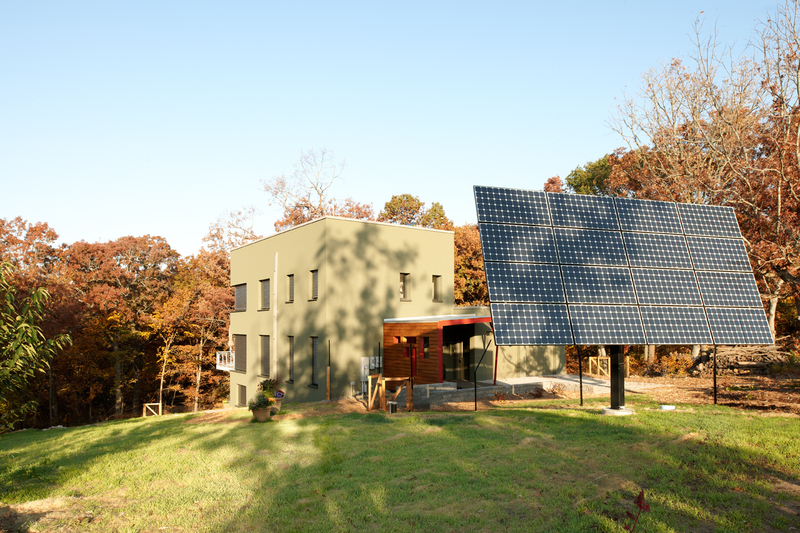 It’s green markers helped track resource efficiency, indoor environmental quality, water conservation, and reduced site and community impact, with the energy efficiency requirement being met and exceeded by the achievement of the Passive House certification.